Technophile but not techno-centred, the OpenCitiz team strives to analyse the needs of users and regions, as well as the coherence of local public policies before integrating the technological component. Indeed, even though relying on technologies is essential to transform areas, they must remain a means and not an end. Department of "Eure et Loir"
"Smart city: gadget or collective value creation?" In a context of particularly constrained public finances, evaluating not only the financial but also the socio-economic impact of smart city projects has become essential. The four financing partners wanted to support this approach. Through a digital strategy, the department wanted to identify the digital needs of economic, digital and institutional actors, as well as those of citizens. The objective was to enable the establishment of a digital governance with concrete actions to promote egalitarian access to digital services and to position the Department as a facilitator towards the development of new digital uses and innovative services in the region. Formalisation of the departmental strategy for the development of digital uses and services (official document). Assessment of the digital needs and an inventory of the digital uses of across the region. Development of an operational strategy via a mapping of the actors and digital projects of the territory and proposals for policy scenarios and actions. As part of the Investments for the Future Program and the "Territories of Greater Ambition Innovation" action (TIGA), a call for projects was launched to select projects combining a high level of innovation and a territorial ecosystem. 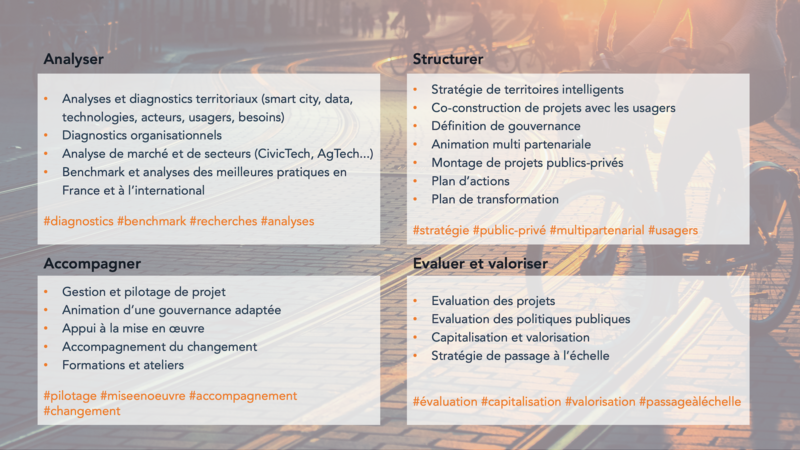 OpenCitiz, in collaboration with Naldeo Stratégies Publiques and Cabinet Cabanes Neveu, was asked to assist with defining the ambition, the strategy and assemble innovative projects. OpenCitiz' contributes with its expertise in topics of urban and territorial innovation (urban hypervisor, electric mobility, opendata, ...) and its project management of innovative and multi-partner projects. In addition to supporting the legal and economic engineering of innovative projects, OpenCitiz deploys new methodologies to accurately diagnose the needs of key players and federate an innovative ecosystem across the territory. With the new challenges related to "data", the Lyon Métropole wishes to benefit from an organisational diagnosis with regard to its new data strategy. Organisational diagnosis of the Geomatics and Metropolitan Data Service. Through interviews and workshops a new organisational structure was proposed. Analysis of existing best practices through an in-depth benchmarking of other cities comparable to Dunkirk, at French and European level. The Urban Community of Dunkirk wishes to develop a smart territory in order to strengthen its economic and residential attractiveness, improve public services on a daily basis and develop an inclusive approach to federate progressively the public and private actors of the territory, especially in terms of data release. 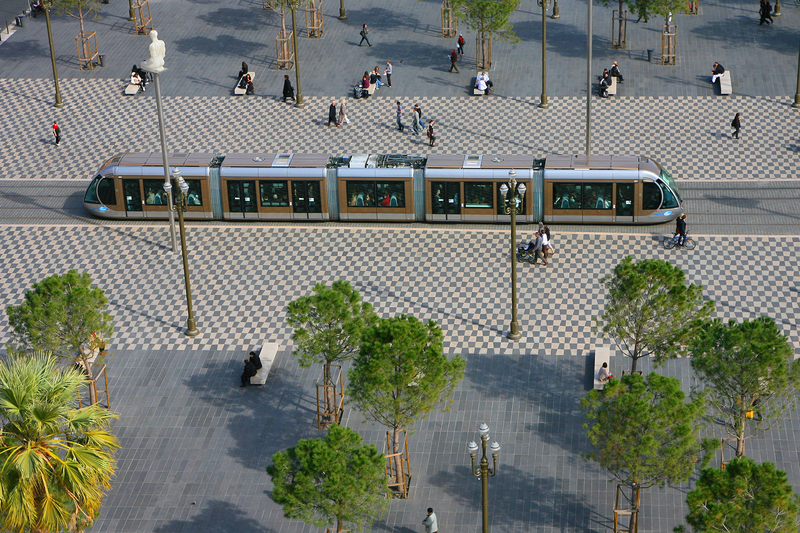 It therefore wants to understand what other cities have done in terms of smart solutions. 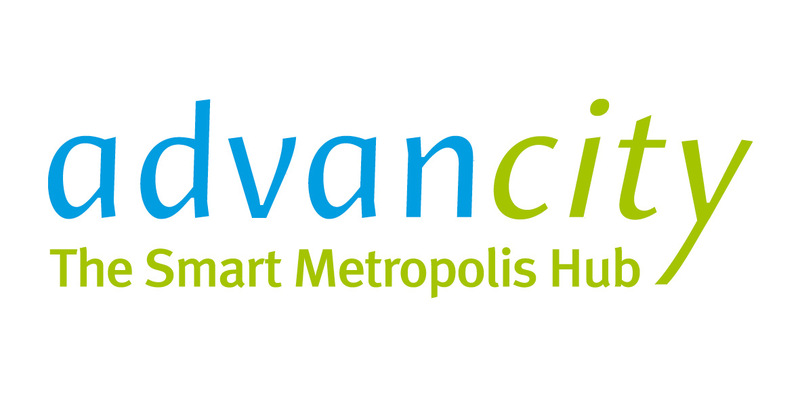 A national and European benchmark of 20 "smartcity" projects categorsied into four main themes of interest to Dunkirk: "Smart City", "Energy", "Smart port" and "Industry".